There are loads of gadgets out there nowadays to help you get a better night’s rest and feel great. Here are some of the very best. Smart Nora is able to detect and to counteract your snoring before it wakes up your roommate. You can mount it on a wall or on the headboard of your bed. When the device detects an imminent nasal vibration, it triggers a silent pump that inflates and deflates a pouch under the pillow. This gentle movement will nudge the snorer to find a better sleeping position. Like this, the device promotes normal breathing and neutralizes snoring attempts. Most sleep gadgets feature an activity tracking device you have to wear on your wrist. Zeeq is the exception. Thanks to its smart sensors, you don’t need to do anything else than rest your head upon it. Throughout the entire duration of your sleep, Zeeq monitors your personal data such as how much you tossed and turned, how long you slept deeply, and how loud you snored. If you find it hard to fall asleep in the first place, Zeeq can stream lullabies from a special Spotify playlist through its speakers. If you’re looking for a great modern mattress to help you recharge, then the Simmons BeautyRest could be the perfect mattress for you and comes in at a variety of price points. It’s made from quality materials and is unbeatable for the price according to reviews. Fitbit Alta HR is a slim wristband that can do more than simply counting your steps. Thanks it its in-built heart-rate monitor, it can detect the main stages of your sleep, in order for you to see how much time you’ve spent in REM, light sleep or awake throughout your night. Everything you need to do is to place the S+ personal sleep monitor on your withstand, pair it with your smartphone via Bluetooth, and go to sleep as usual. The smart sensors of this gadget will do the rest. They will monitor your breathing and your body movements, the noise, the ambient light intensity changes, and the temperature in your bedroom. As soon as you wake up, you’ll get a report card and a sleep score, as well as customized suggestions to help you sleep better. This sleep aid features some powerful auditory sedatives such as white, brown, and pink noise to help you fall asleep faster. These sounds aren’t cyclic, so you won’t have to hear the same tunes over and over again, every five minutes or so. The device features a ceiling-facing speaker which is powerful enough to fill your bedroom with these soothing sounds. The Matrix mattress features ballistocardiography sensors that were originally designed for medical use only. This enables it to track the variations of your heart-rate, the movement of your body, the stress levels, the breathing patterns, and even the sleep cycles. 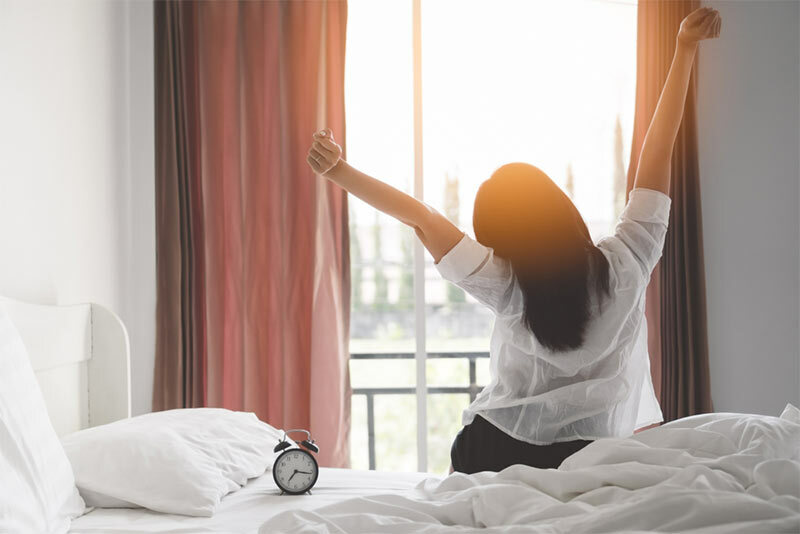 Its smart alarm will wake you up during the light sleep phase, so that you can feel refreshed and ready to take on a new day. Furthermore, the device can track two separate individuals, thanks to its sensors that are located on both sides of the bed. This digital clock will wake you up with the help of a halo of light that imitates natural sunrise. It starts to brighten half an hour before your wake-up time, so that you can gradually shift from sleep to alertness. If this doesn’t wake you up, the alarm clock will play various sounds or start the in-built FM radio. ← Fossil fuels, renewables or nuclear: Which is the most reliable energy source?